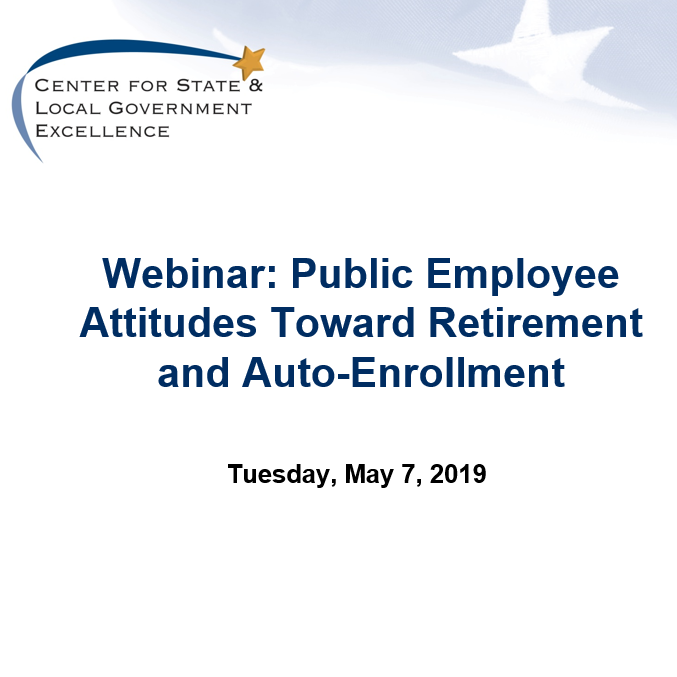 A survey by SLGE and ICMA-RC finds nearly half of state and local employees approve of auto-enrollment in defined contribution plans, known as Supplemental Retirement Plans (SRPs), and 77 percent would choose to stay in a plan if auto-enrolled. Few states currently offer auto-enrollment in SRPs, a retirement plan feature that is widely available in the private sector. These and other findings will be discussed in a webinar on Tuesday, May 7, at 2:00 PM EDT. Register here. The full report is also available at: Nudging Deferral Rates within Public Sector Supplemental Retirement Plans.